Chenek´s sawmill used to be a water mill on the Vydra River before its junction with the Křemelná River. It was situated on the right bank, 630 m above the sea level in the land register of Svojše (town of Rejštejn). It was built by a Prague timber trader Čeněk Bubeníček.. 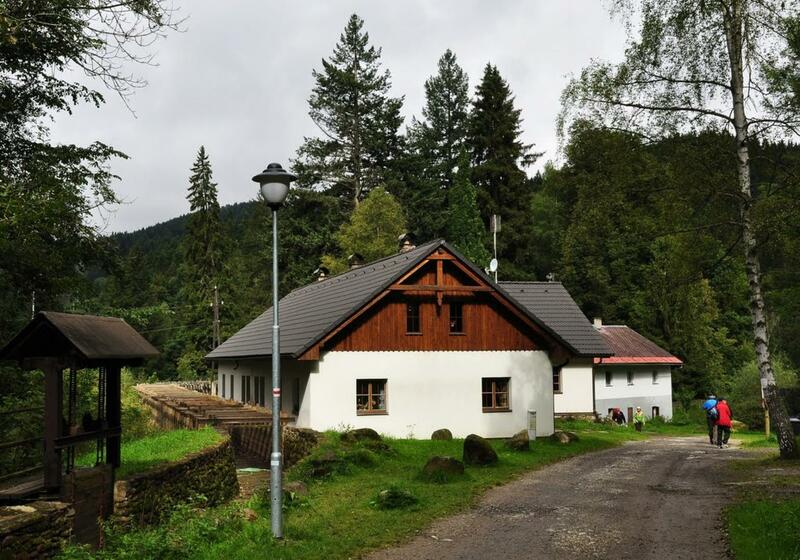 It was a water sawmill processing wood from the Šumava forests. Originally it was called Bubeníček´s sawmill, later Chenek´s sawmill. In 1937 building of a new water power station of Vydra was started, which was put in operation two years later. It belongs to our most considerable points of technical interest at present. The sawmill has been protected as a historic landmark of the Czech Republic since 1995.